While Donald Trump is now one of the most powerful politicians on Earth, his journey to success began in real estate. As you probably know, the Trump Real Estate Organization is responsible for dozens of major developments around the globe. But, his portfolio does not include Germany. Trump’s father migrated to the USA from Germany in 1885. Today, Trump oftens claims to hold the country near and dear. Yet, while Trump tried to make his mark on the German Real Estate market, in the end he failed. In 1988, Trump began to form a relationship with Germany’s Deutsche Bank when many major Wall Street firms decided they would no longer lend him money after seeing several of his ventures fail. Deutsche Bank’s real estate business had only been in operation for a year at that point. That is why they were willing to set their stakes on Trump. The bank gave him a $640 million construction loan in 2005 to assist him in building the Trump International Hotel and Tower in Chicago. But, Business Insider writes “…the project neared completion right as the financial crisis hit.” This led to an unusual suing battle which was eventually settled. The two parties continue to do business together, leading Trump to eventually take his prospects to Germany itself. In 2000, Germany’s economy was booming. Trump saw an opportunity to invest in the flourishing German real estate market by designing tall, extravagant buildings. He envisioned building Europe’s tallest skyscraper in Frankfurt. This led to the founding of TD Trump Deutschland AG. 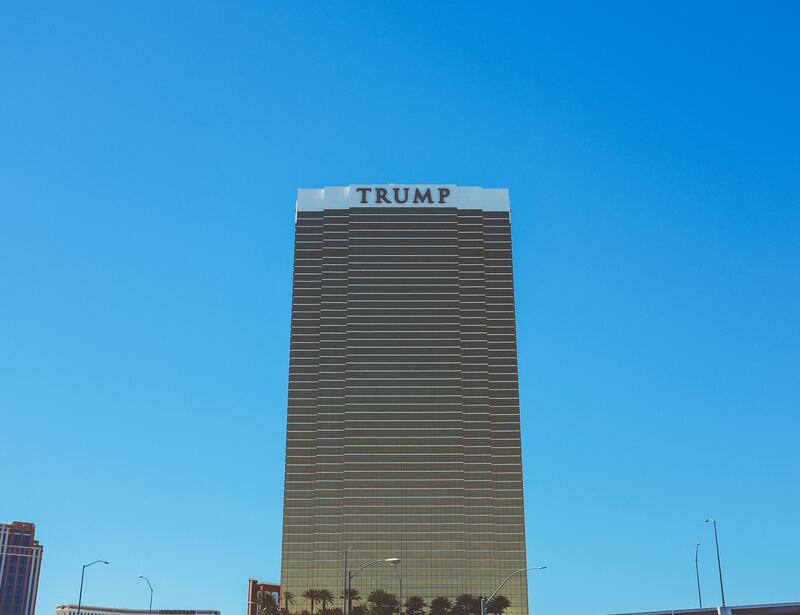 Trump wanted to start by building a 200-meter-tall high-rise on the edge of the main river. He met with property developers and then-mayor of Frankfurt Petra Roth to discuss the development and was surprised to find the project greatly disputed. There were restrictions on building heights and disagreements over the location of the tower. Eventually, they reached enough consensus and agreed upon a different location. Construction was about to begin when things took another turn. Doubts about Trump’s creditworthiness began to grow and the plan approval procedures came to a halt in 2003. After this, the company was dissolved in April 2005. If Trump’s plans had gone ahead, it’s likely Frankfurt’s skyline would look drastically different. Now, Berlin’s gsp Städtebau GmbH constructed Germany’s tallest residential tower. Known as the “Grand Tower”, the building is 47 stories and contains 401 apartments which have been sold for about 19,000 euros per square meter. Trump’s real estate developments have been put to rest in Germany for now and, after a long, complicated relationship, he still remains in debt to Deutsche Bank – but that’s another story. Want to know more about the largest real estate developers and investors around the globe? Take a look at some of our lists, such as Top 100 Hotel Investors Europe, Largest Real Estate Developers Germany, or Top 50 Real Estate Investors France. You can also write us through our direct chat and ask how we can send you preview files or get you customized research tailored to your needs. This entry was posted by natalie in Blog and tagged donald trump, german real estate, german real estate market, germany, real estate, real estate investor, usa.